Varanasi to Mumbai is a mammoth 27 hour train journey. Fortunately, I had company in the form of an Israeli tourist and three Indian soldiers. The Israeli, due to a combination of misplaced trust in travel agents and spectacular ignorance of Indian geography, thought he was headed to somewhere close to Goa. In fact, we (the royal “we” that is) quickly ascertained that he had a ticket to a nowhere town; 19 hours from Goa, and with only one train a day. Having helped him discover this, I tried, with some difficulty, to hide my amusement at his ineptitude. However, most of my sympathy evaporated over the next few hours, as he spent his time plotting revenge on the travel agent and arranging for his friends to go and intimidate the unscrupulous fellow, rather than trying to solve his problem. Meanwhile, the soldiers took turns to smoke in the toilet, started drinking apple vodka “to help them sleep”, and ingested a suspicious looking powder that seemed to make them very twitchy. In spite of this cocktail of substances, or perhaps because of it, they were still up at 5 am the next morning. And irritatingly, thanks to their decision to blast Indian pop music from their phones, so were all the other occupants of our carriage. travellers can browse hosts and contact them for a place to stay. Earlier in the trip, we used the site WarmShowers and this is based on exactly the same idea, but limited to the cycle touring community. For a while I had been wanting to try CouchSurfing, but never quite got around to it. There are a dizzying number of people to choose from, profiles to read, and comments to browse through. 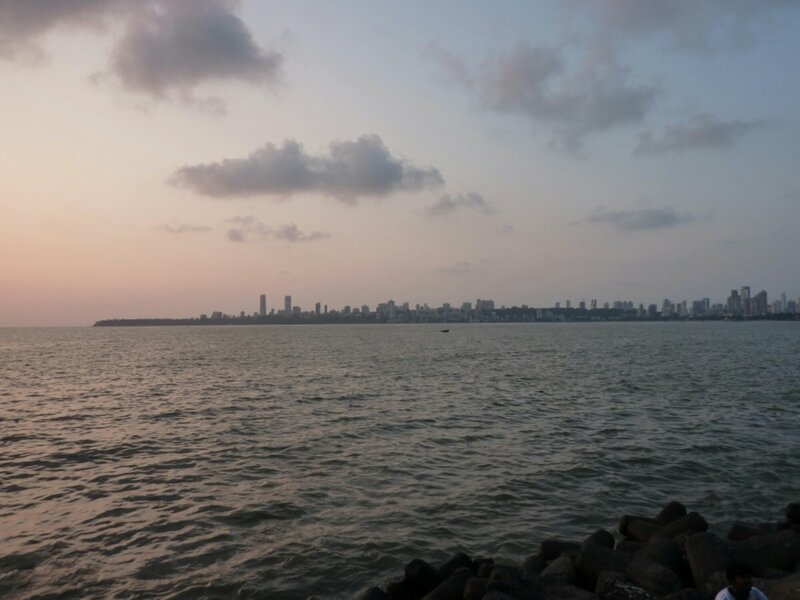 Having no idea how to get started, I merely posted in the Mumbai forum and explained my situation; asking if anyone was willing to host me. I received a number of interested responses, but the first hosting response was from Vaish. Thus, it was to her place that I was headed, as soon as I had drowsily dragged myself off my train and onto my bicycle. As it turned out, I had struck gold with Vaish and I quickly realised why CouchSurfing is so popular. Whilst a hotel is impersonal, expensive, and offers little in the way of socialising; staying with a host is quite the opposite. Vaish was incredibly hospitable and had actually taken a bit of a risk by offering to host me. I had no feedback to recommend me and many other female hosts probably wouldn’t have taken the risk. Fortunately, mention of my cycling exploits (Serial killers, take note!) convinced Vaish that I was the good kind of crazy. I should confess now that a large part of this post will be dedicated to the people I have met during the past 10 days. 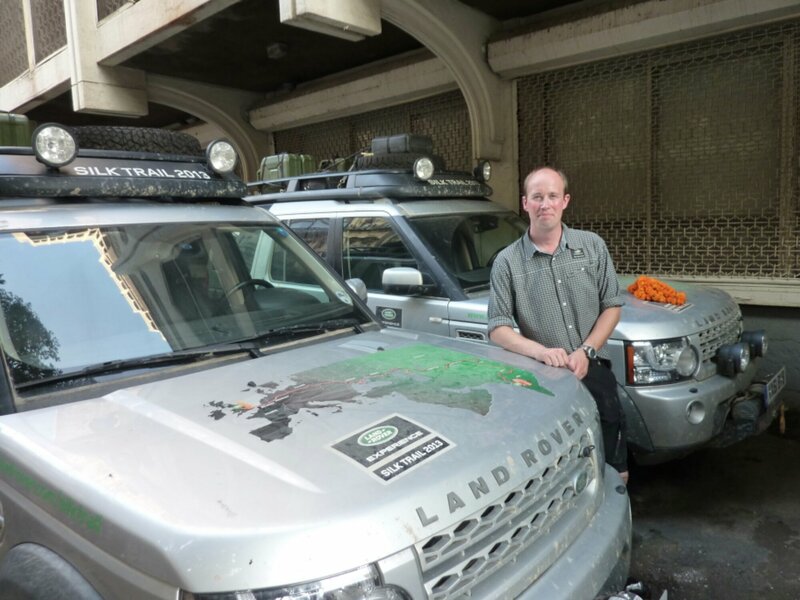 Having commented on negative interactions in previous posts, I think it’s about time I highlight the incredible hospitality and friendliness that I have experienced since setting off from Mumbai. Often, as I have previously mentioned, some of the best experiences are as a direct consequence of some misfortune that has befallen me. As I attempted to leave Mumbai, this misfortune was a snapped gear cable and the ensuing struggle to find a suitable replacement. As a consequence, I contacted Rao, a WarmShowers host in New Mumbai, in order to see if he could help me. Fortunately for me, Rao and his friend, Inderjit, did not just fix my problem. They also provided me with food, introduced me to their respective families, and gave me a place too sleep for the night. In particular, Inderjit’s local knowledge and ingenuity proved indispensable. With all normal avenues exhausted, Inderjit suggested I use an auto-rickshaw accelerator cable as a makeshift gear cable. Of course, I would never have thought of this on my own, but now my rear gears are controlled by just that and are working flawlessly. 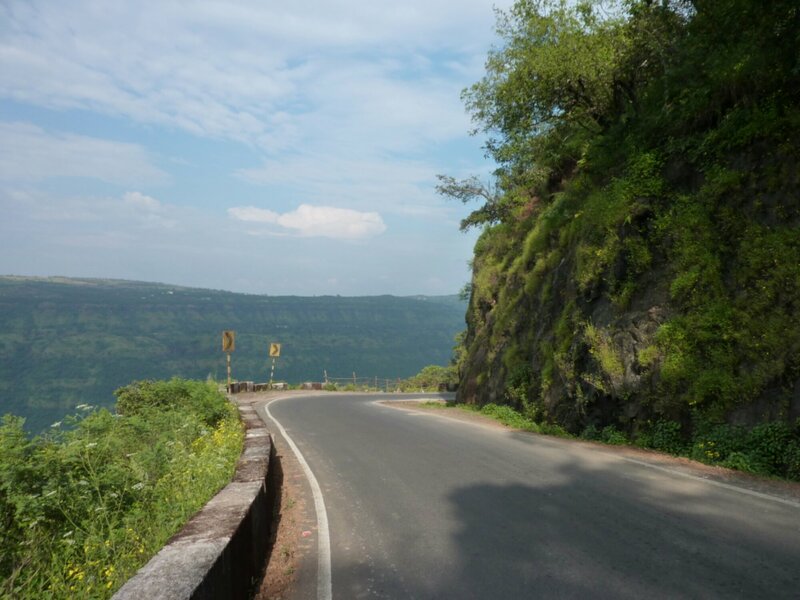 Leaving Rao and Inderjit behind, I finally set off into the hills behind Mumbai. If I had thought that it was hot whilst cycling on the flat, that was nothing compared to how it felt as I dragged myself up steep hairpins, with the sun beating down on me. However, such was my excitement at being able to cycle somewhere genuinely beautiful and free of monotony, that even the feeling of being close to fainting didn’t dampen my spirits. In fact, taking short breaks on the steepest climbs has become something that I have come to accept as a necessity over the last few days. Otherwise, my body never has an opportunity to cool down and there is a genuine chance that I might end up taking an impromptu nap on the asphalt. 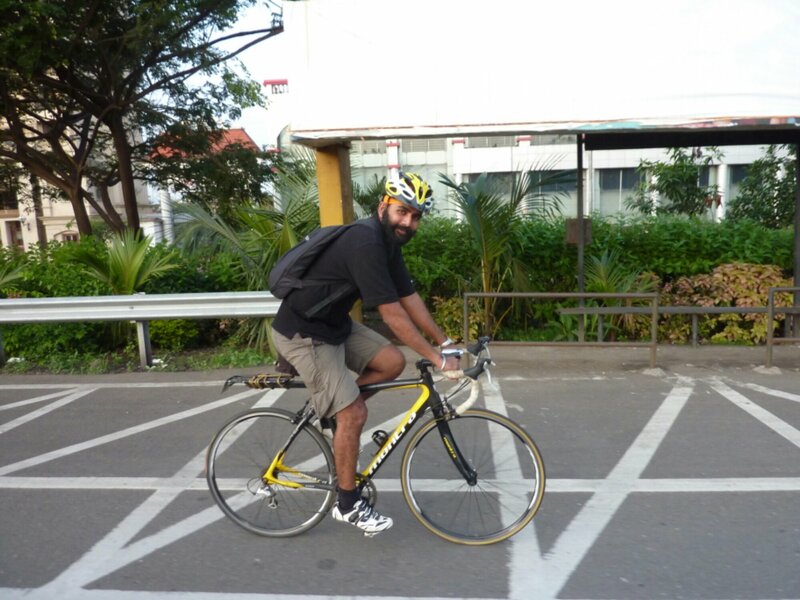 After a couple of days cycling, I arrived in the city of Pune and met up with my WarmShowers host, Zareer. 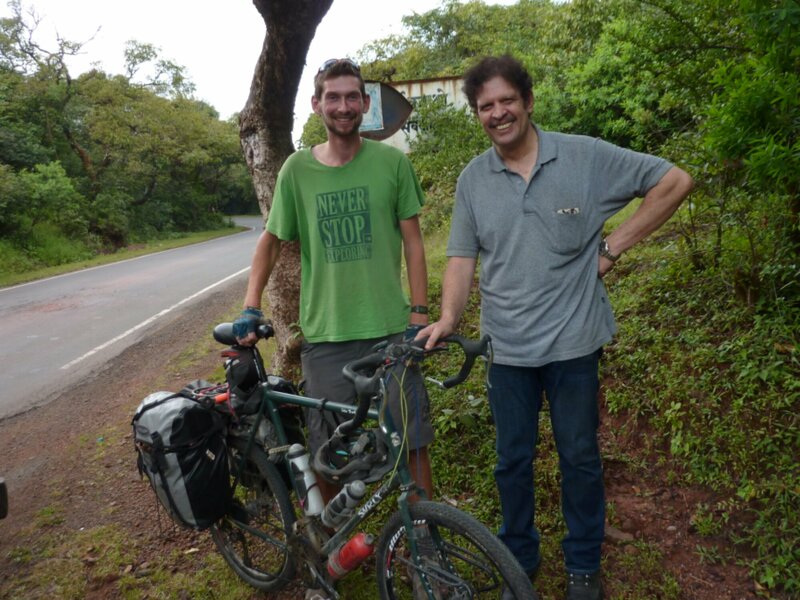 Despite only being a recent convert to cycling, Zareer was insanely hospitable and very enthusiastic about my trip. Chatting with his family was incredibly enjoyable and I was amazed to discover that they had all read my blog! 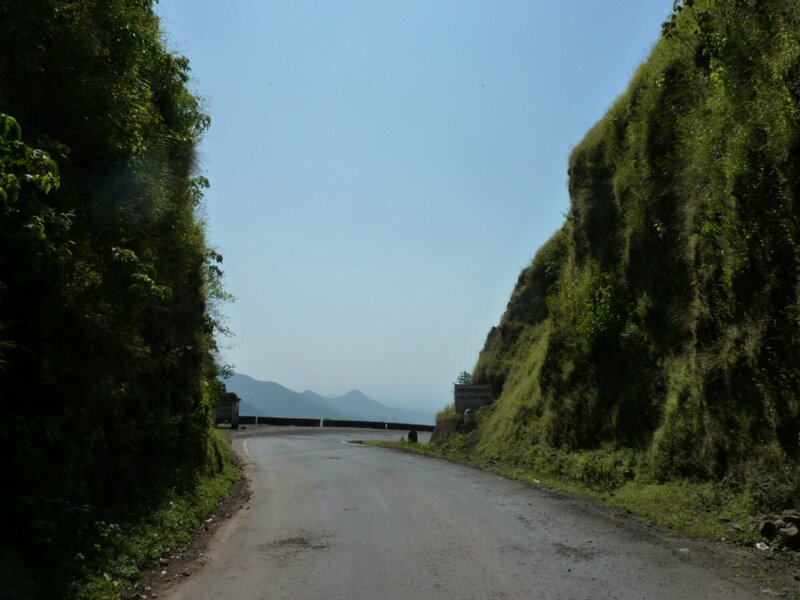 Zareer’s generosity knew no bounds and he even drove me up to visit a hill station the next day, which otherwise would not have been in route. Not only was this a lovely, cool and relaxing place to visit, but it also meant that I had an afternoon of, almost entirely, downhill cycling to enjoy. 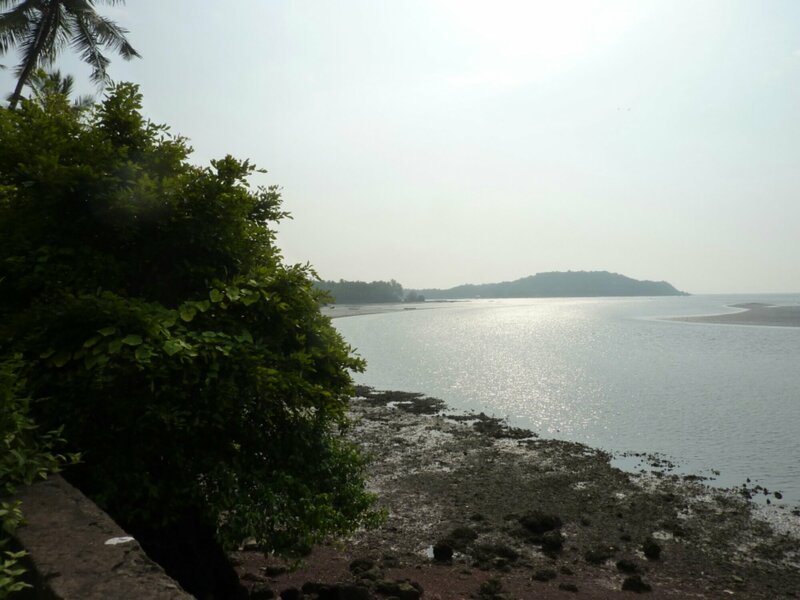 Following a few more days of cycling south, I swung west towards the coast and headed towards Goa. 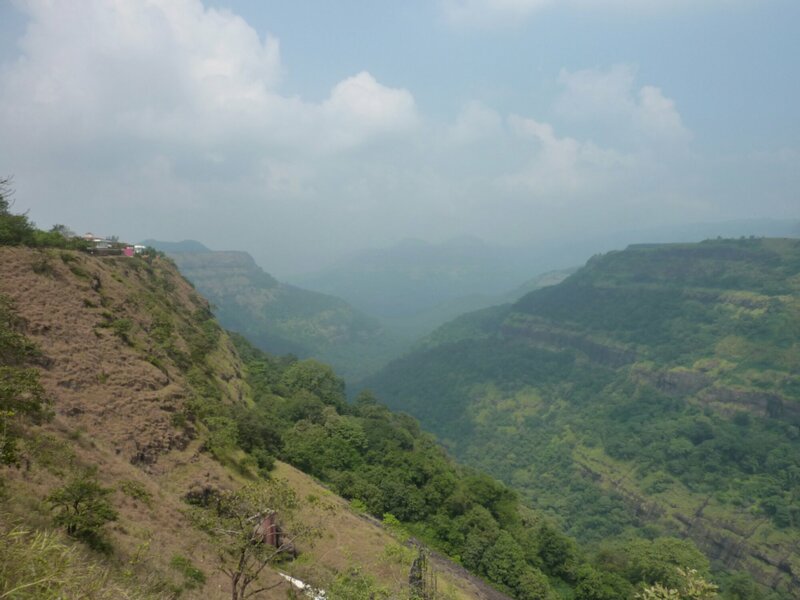 Managing to avoid the large roads, I climbed up into the hills and, as I rose up, the greenery became denser. 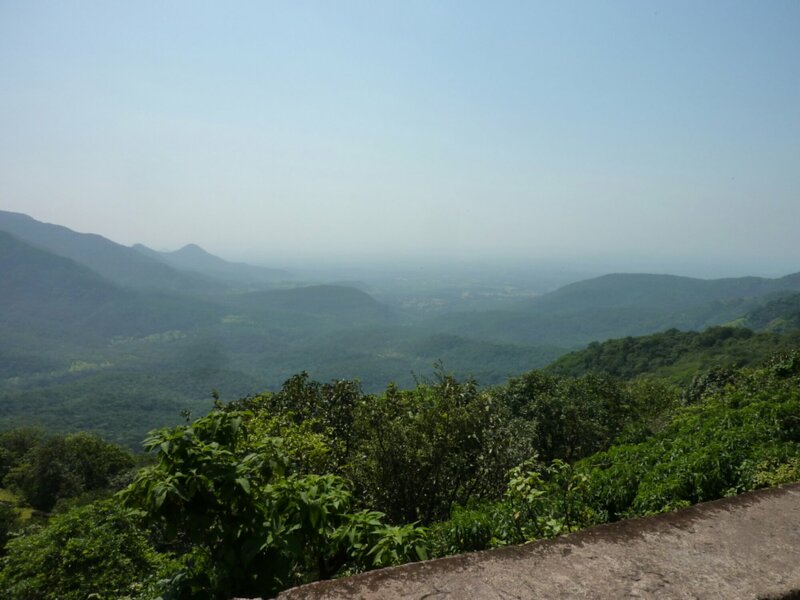 Getting closer to Goa, what had been forest slowly turned into what was unmistakeably jungle. 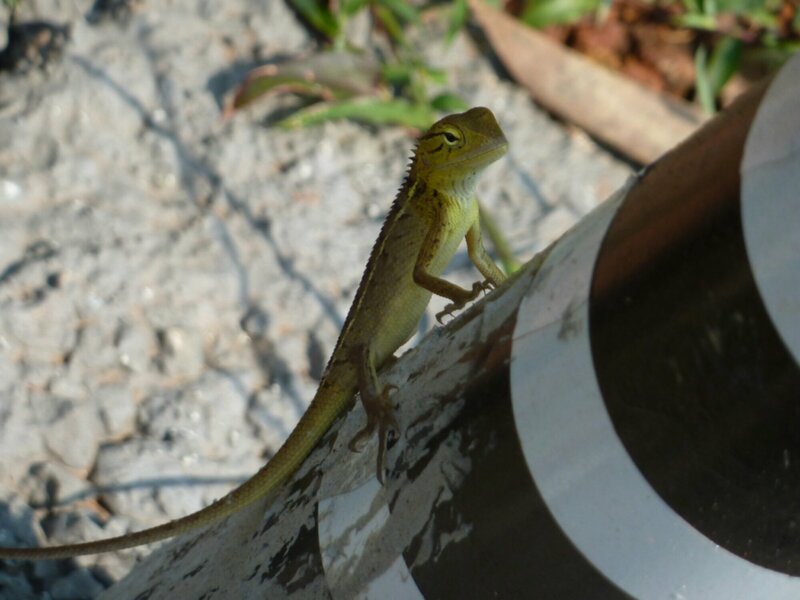 Butterflies and dragonflies flitted across the road, lizards sunbathed on rocks, and monkeys hid in the canopy. For one 20 kilometre stretch, the foliage was so dense that it was like cycling through a shady green tunnel. Soon though, I dropped out of the hills and down into Goa itself. Now, when many people see the word “Goa”, they undoubtedly envisage golden sands, wild parties and more drugs than the Rolling Stones’ medicine cabinet. Few people picture sleepy villages, quiet roads, and peaceful tropical landscapes. However, that is what a huge chunk of Northern Goa is like. It wasn’t until my second day in Goa that I even began to see other westerners, let alone encounter them in hordes. Of course, lots of Goa is crammed full of western tourists. It was in an attempt to evade these tourists that I stumbled across the relaxed ex-hippy village of Chapora. Its hippy heyday a distant memory, Chapora retains the relaxed vibe and many of its, now ageing, inhabitants. A period of recuperation that was meant to be two days has turned into four, which is testament to the good food, good conversation, and cheap beer that is to be found here. 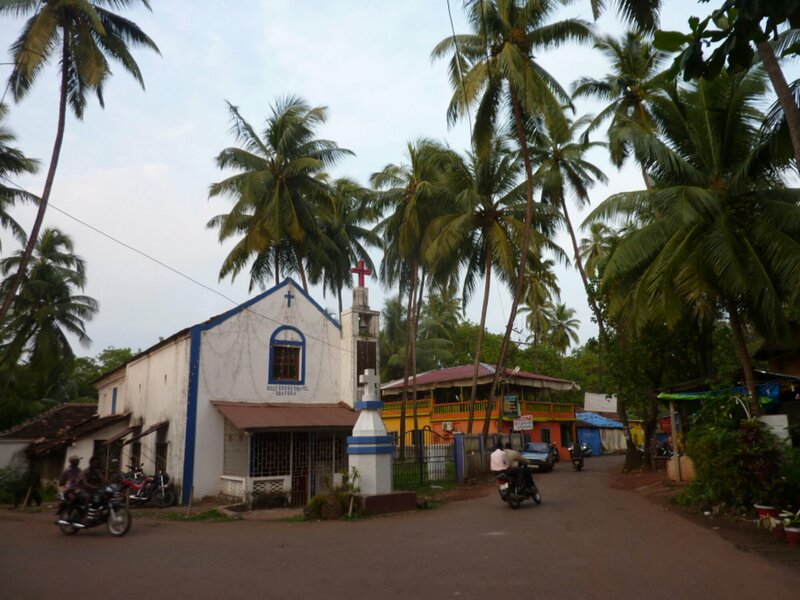 In particular, one of the long term residents, Charlie, has some fascinating stories of Goa during its time as a hippy Mecca. He was one of the first people to come here and, unsurprisingly, his initial 11 month coach journey to get here is a story in itself. (He is writing a book, so look out for it!) Obviously, Goa’s drug culture lives on and most people here don’t just stick to beer. In fact, I may be the only adult here who is able to hold a pint in one hand without having a joint in the other. 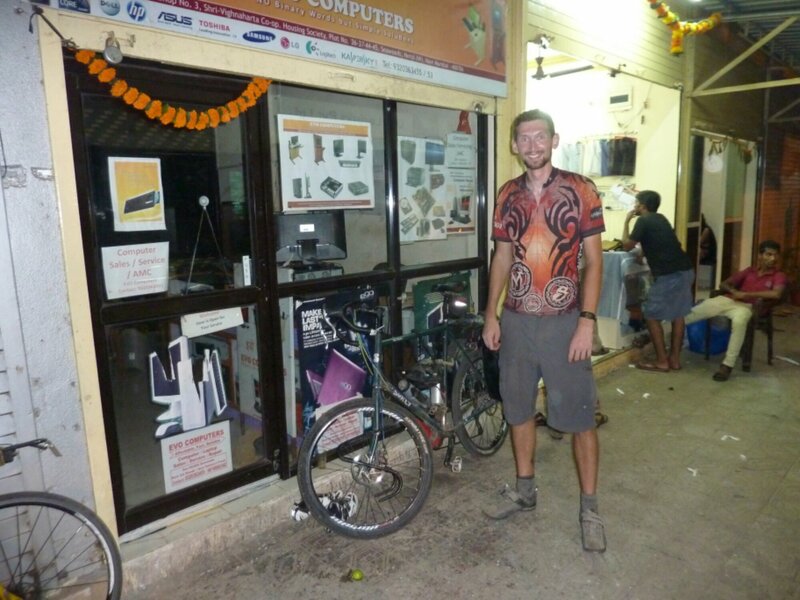 * However, I’m also the only person here who cycles through places like India for fun. Coincidence? I think not. Great reading of your exploits. Keep writing! Thanks. I did find this post particularly tricky, so it’s nice to have encouragement! I am SOOOOO pleased that you still avoiding the weed !! Was that meant to sound as redneck as it reads? Seems a bit hypocritical to want all the gears, but none of the gear. Totally. In all seriousness, I did consider just seeing how hard it would be with three (two useable) gears. REALLY glad I didn’t.